After a “bust” evening at the Atlanta Dogwood Festival (note: just because the festival is open until 10:00, doesn’t mean the vendors are open past 7:00), we were looking for dinner. Since we’d already paid (quite handily) for parking, we looked for options within walking distance. 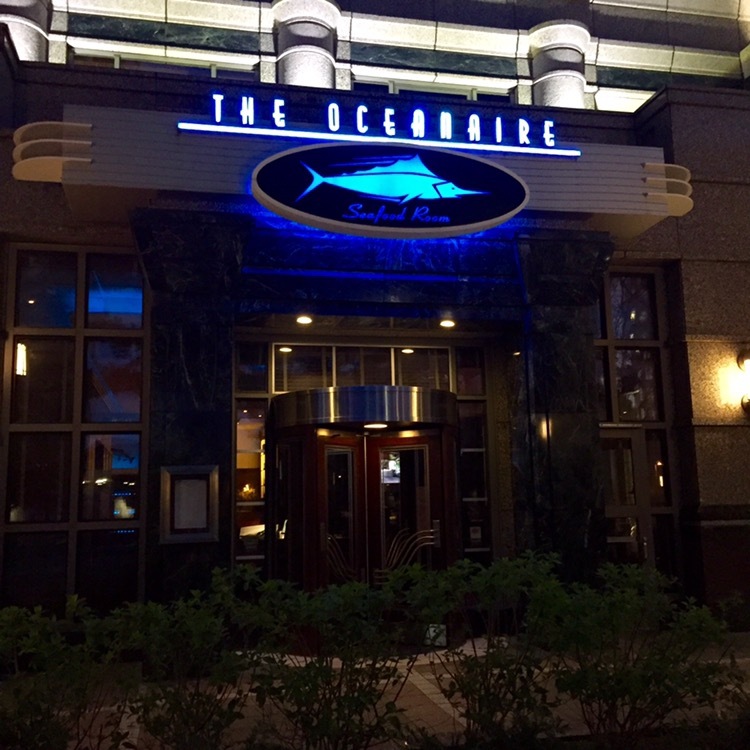 I had eaten at the Oceanaire Seafood Room in Dallas several years back, and was excited when they opened in Midtown a while back. But I promptly forgot about it. We arrived around 7:00 and it seemed fairly empty for a Friday night. I imagine they do very well with the expense account crowd during the week and at lunch time, and are much more crowded then. 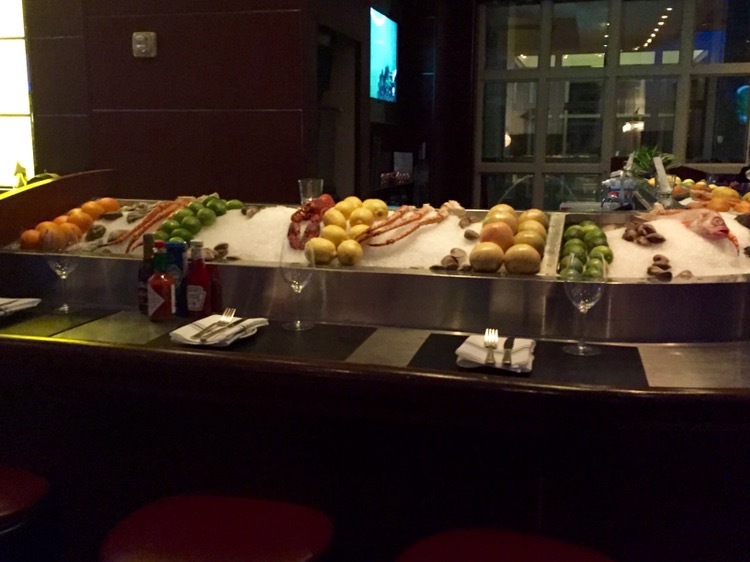 We walked by the fresh fish counter on the way to the table. I think the amount of ice you see is attributable to it being the end of the week, as well. 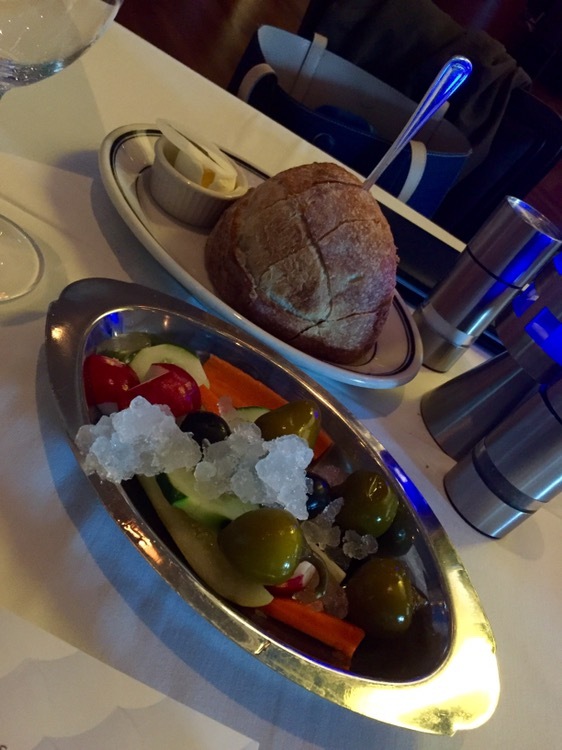 They brought us out bread and lightly pickled vegetables while we considered our order. The bread was hot and melted in your mouth and I heard that the veggies were good, too. 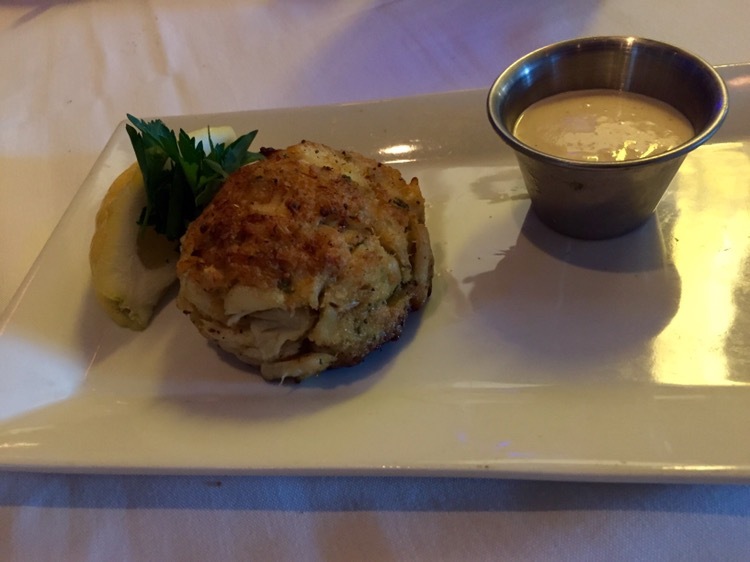 We started with the Chesapeake Bay Crab Cakes as an appetizer, which gave us one a piece, based on the waiter’s description. They are also available as an entree. He lauded them as full of crab and not much filler. He was right about that. I’m not a crab cake guy, generally, but these were excellent. And my table mate loved the Dijon sauce they were served with. 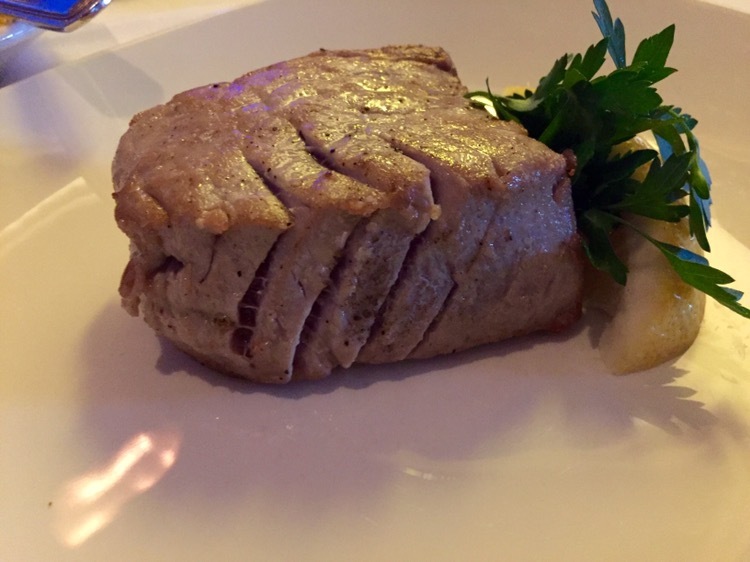 For the meal, she ordered the Georges Bank sea scallops, which were cooked perfectly. 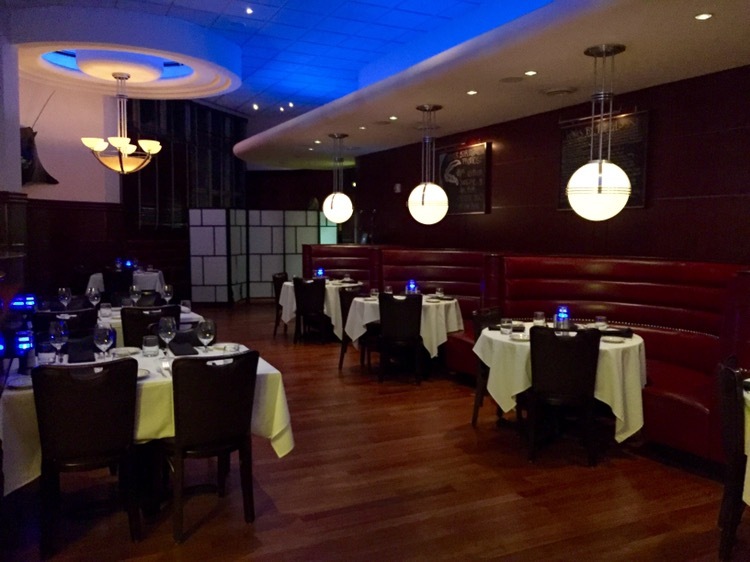 Thanks to google, I’ve found that Georges Bank (an elevated area of the sea floor between Cape Cod, Massachusetts and Cape Sable Island, Novia Scotia) sea scallops consistently win taste tests as the best tasting scallops in the country. 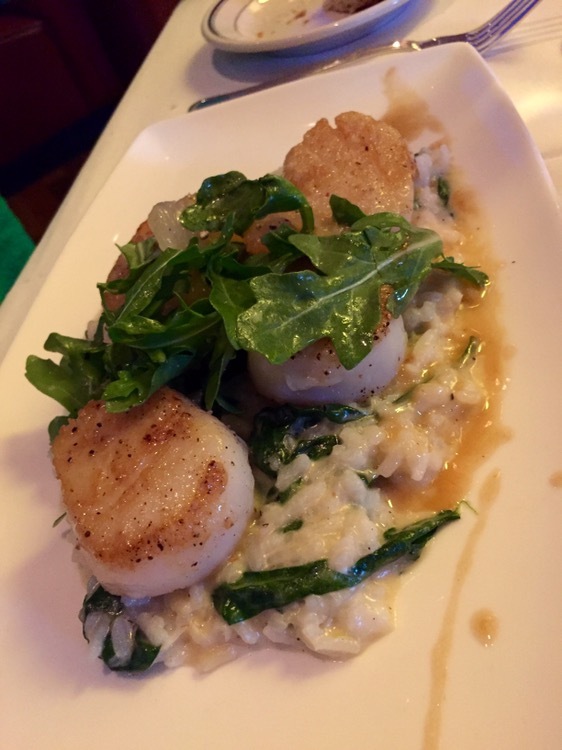 The scallops were served with a leek and gouda risotto and a grapefruit buerre blanc. They were slightly sweet, firm and delicious. I ordered the Sesame seared Hawaiian “Ahi” Tuna, with wasabi, soy, pickled ginger and wakame (a form of seaweed). It didn’t look very pretty (grey food rarely does, to me), but it was cooked very well and was very tasty. We also had a side (translate = plate full) of creamed corn, which was more like whole kernel corn in cream, and was very good as well. This was a fine dinner and about as good of a seafood meal as you can find in the city.